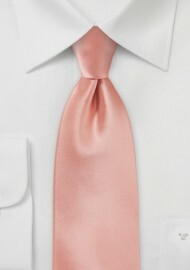 A brightly colored peach-coral tie in XL length by Puccini. 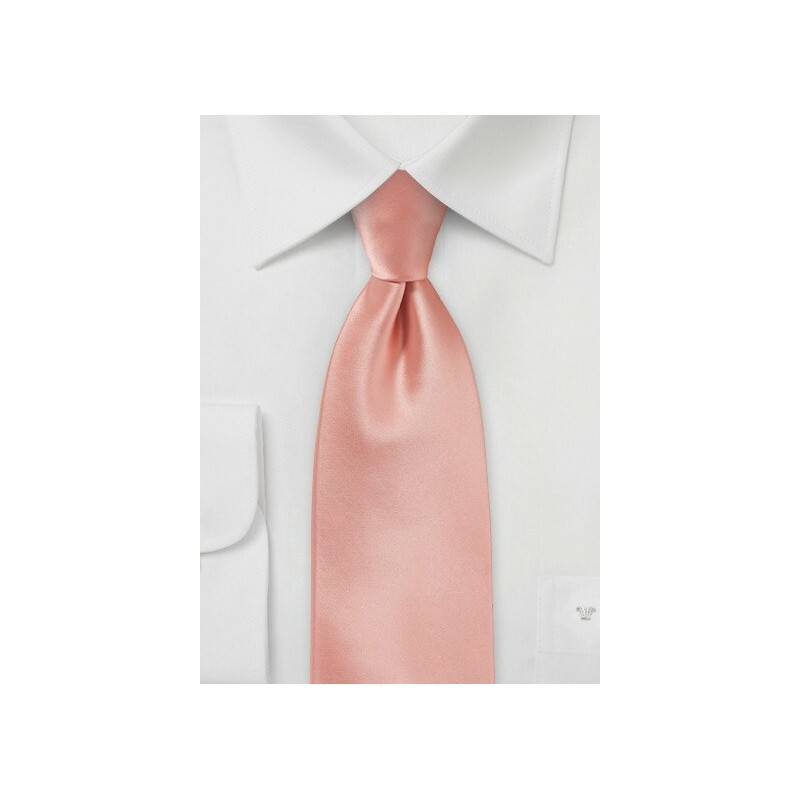 This popular summer tie is one of our top selling solid color ties from March through June. Because it is such a popular color we now offer it in all popular sizes. Please note that the tie featured here is made in long length for tall men. Made from stain resistant microfiber by Puccini.